Bitstamp AutoSync Integration in Blox! In Blox, we aim to make things simple, easy and fast. That includes the automatic integraion of any Litecoin wallet effortlessly. As soon as you have a Box account and some LTCs to track, you will be able to sync your assets in a few seconds and your tracking will be taken to the next level. It doesn't matter if you have a normal Litecoin address or if you are using LTC wallets like Electrum, Exodus, Ledger or Trezor. You can easily and automatically track all of your crypto assets, in just a few seconds. A new window will appear on your screens, where you have to fill in the empty fields. Firstly, select what type of automatic sync you would like to add. In this case, the correct choice should be "Wallet Account". Then select the asset (Litecoin) and choose between the different Litecoin wallets or address. Please, take into account that in order to sync a wallet you have to introduce your xPub Key Address and select between two options: Legacy and Segwit. Finally, you have to provide a name for your wallet. This name represents either your synced wallet or address, we recommend choosing an appropiate name (like "My Exodus wallet") to help you better track the future activities in your portfolio. As you can see, the entire process is extremely simple and intuitive. 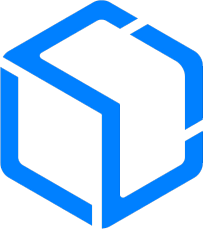 Remember that if you need further assistance you can check our troubleshooting articles or send us an email at support@blox.io.